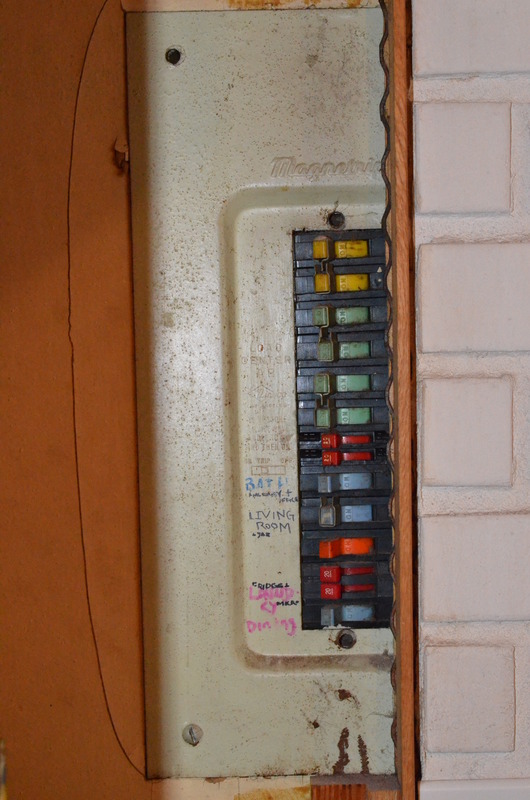 It is highly recommended to replace Zinsco Electrical panels if you have one in your home. These panels are know for not tripping when they need to. When this situation happens the wire can melt and or the equipment. In this picture you can see half of the electrical panel, with the other half being covered up. 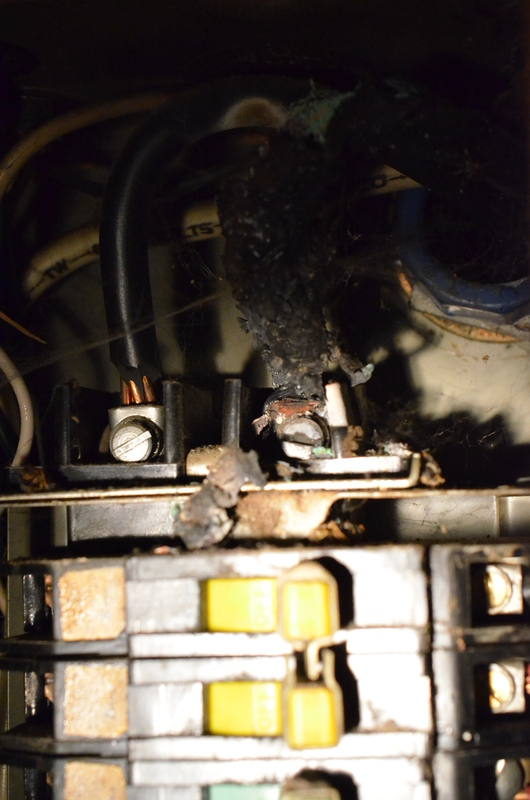 The next picture shows the feeder wire coming in and melted as a result of a loose connection. A new panel will be install outdoors since we do not have the correct room and clearance requirement per today electrical codes. Completed photos of the job will be posted soon. If you have any questions about these Zinsco electrical panels you can look them up on line and or give us a call at 360-883-3873.